Summary: Northeastern Law is celebrating their growth with a new dean, chosen from amongst their own professors. Northeastern University School of Law has a new dean, effective July 1. The school announced they selected one of their longtime professors to take over the role. James Hackney will resume leadership of the school at a time when the law school is seeing greatly improved rates in the graduates passing the bar exam and finding full-time attorney work. Hackney has been a professor at the law school for 26 years. During this time, he has also held numerous leadership roles, including associate dean twice. His most recent leadership position was as chief of staff to Northeastern University President Joseph Aoun. Hackney will be replacing current dean Jeremy Paul, who has been dean since 2012. Paul will remain with the law school as a professor. During Paul’s time, the law school has made significant improvements to its numbers. Last summer, among Massachusetts law schools, Northeastern was behind only Harvard Law in the percentage of its graduates to pass the bar exam on the first try. This means the law school beat out Boston University and Boston College for the first time in eight years, according to Boston Business Journal. Hackney already has big plans for the law school. He plans on building three centers at the law school that will focus on innovation, health policy, and public interest advocacy as well as to have the law school collaborate with other areas of the University. Hackney also wants to maintain the law school’s focus on social justice and public interest law. 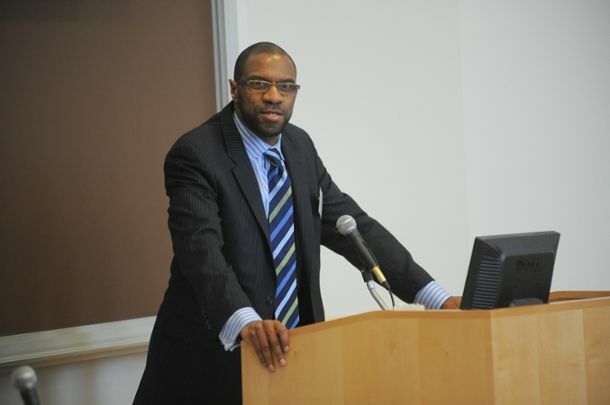 Hackney will be the second black dean in the law school’s history. The first was David Hall from 1993 to 1998. Do you think law schools should try to hire leadership positions like dean internally? Share your thoughts with us in the comments below.